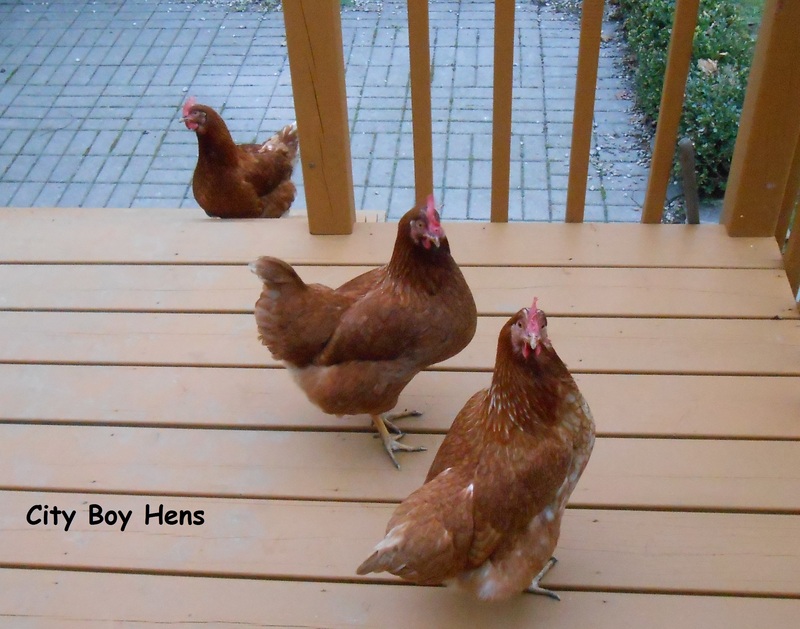 Welcome to the Backyard Chickens section of my site. 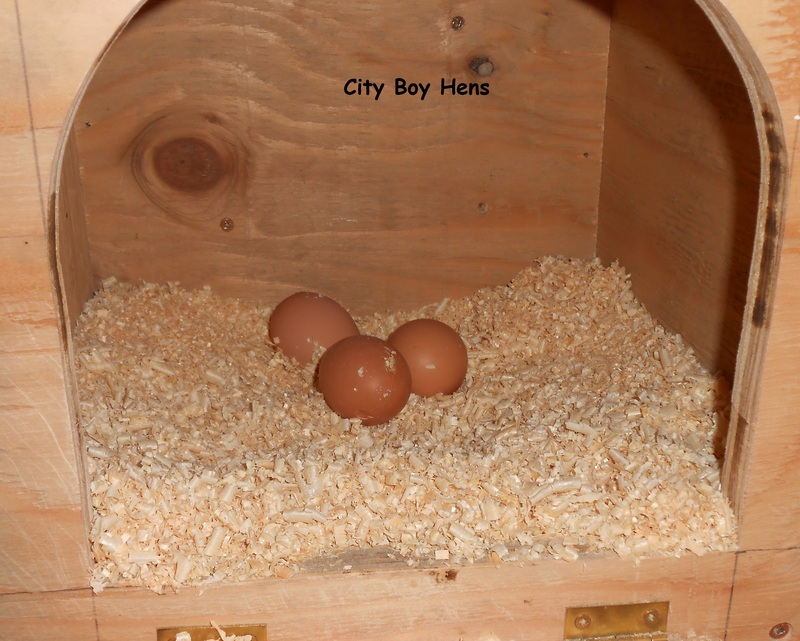 I have detailed what I think is necessary for you to successfully raise laying hens in an urban setting. With that said, I do not claim to be an expert. I’m just a middle-aged guy who discovered an interest in raising hens for eggs in March 2012. I’ll assume that if you are reading this, than you too are interested in starting up or are looking to find a solution to a “chicken” problem. I hope I can help! I started off raising Honda and Swiffer last March at 1 week of age. I highly recommend starting off this way. Chicks that are raised by their owner are less skittish and truly developed a bond because they view you as the “Mother Hen”. I have many amusing memories of my young pullets running straight over to me in the backyard because they were startled by a falling leaf, squirrel or crow. When I bought these chicks back in March 2012, the owner of the garden center told me to buy 3. I ignored his advice because I thought that 2 would generate enough eggs. It turns out that 2 hens did not produce enough eggs for my family and very “selected” friends. There may have also been an underlying desire to expand my “flock”, but I am not admitting this to my wife. So, with that said, along came Rosie in November. I remember walking into this farmer’s chicken run where 100 20 week old pullets were scurrying around. I looked down at the ground and saw this young chicken pecking at my shoe. I picked her up and began a close inspection for parasites while she settled in my arms. 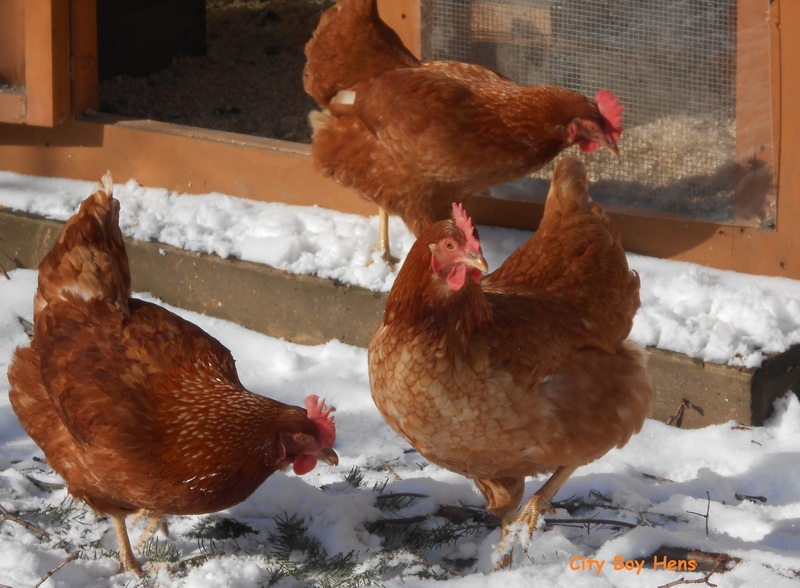 “This is the one” I said and from that day forward Rosie has been a member of City Boy Hens. Looking back, I should have started out with 3 chicks and I recommend that you begin this way. We get around 20 eggs/week from our “girls” no matter what the season. They are not only personable, but are egg laying machines! 3 eggs almost EVERY day! If my memory serves me, we actually met close to the closing of the store. Your brother was a kind & patient man to me 2 years ago. I am grateful for the opportunity to have known him for a brief period. I remember David grinning at me when I bought the chicks. He said “You won’t find nothing for $5 that will give you as much fun as these chicks”. Ya know what? He was right on the money! Susan, I hope you’ll drop by again or feel free to “follow”.